Aila Lauha is Professor of Church History, specifically Contemporary Church History, in the University of Helsinki, Faculty of Theology since 1997. She was born in Oulu 16.9.2051. Her parents were Lutheran pastor Risto Erkki Koivisto and teacher Hilkka Tellervo (born Lamminaho) Koivisto. Erkki Koivisto was the vicar of the Salla parish in Northern Finland in 1934-1972 and a member of the Finnish Parliament in 1945-1966. Aila Lauha was educated at the Oulu University Teacher Training School. She was the Dean of the Faculty of Theology in 2004-2014. She was awarded an honorary Doctorate in Theology at the University of Lund in 2011. She was the Promotor at the Conferment Ceremony of the Faculty of Theology in 2017. She is a member of the Finnish Academy of Science and Letter and a member of the wider editorial board of the periodical Kirchliche Zeitgeschichte. Lauha has been a member of the Research Council for Culture and Society at the Academy of Finland in 1998–2003 and 2010-2015. In 2010-2012 she was the chair of the Research Council for Culture and Society and a member of the Academy´s Board. 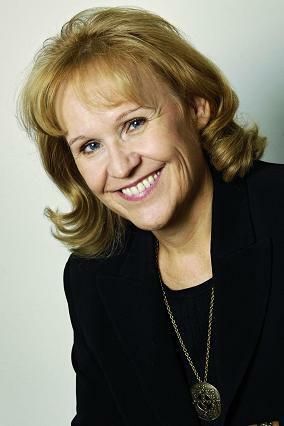 In 2012-2014 she was the chair of the board of the National Library of Finland. In 2003-2010 she was a member of the Editorial Committee of the periodical Studia Theologica, Scandinavian Journal of Theology. She has served in various functions in several domestic and international scientific associations such as the Joint Committee of the Nordic Research Councils for the Humanities (as the chair and a member). She was the chair of the Collegium of the University of Helsinki and the chair of the Advisory Board of City Centre Campus of the University of Helsinki in 2007–2009. She has also been a board member of the Network for European Studies of the University of Helsinki. In addition, she has been a member/vice member of several other committees and boards in her home university. In 2013-2018 she was a member of the Governing Board of the Conference of European Churches. She has been a panel member nominated by the Estonian Higher Education Accreditation Centre for the evaluation of theological education in Estonia in 2004, 2005 and 2008, and an expert panel member for the Research Evaluation at Uppsala University in 2007 and 2017. In 2014 she acted as the foreign expert in the self-review process of the Faculty of Theology and Religious Studies at the University of Iceland. She has assessed research projects in various European countries and served as an assessor in several processes of filling the position of Professor in Finland and the Nordic countries. Her scholarly work is focused on Contemporary Church History, Churches and the Cold War, the Ecumenical Movement and International Cooperation of the Churches, Churches and National Identity, Nordic Churches after the 2nd World War and Churches in the 1960ies as well as Finnish History of Theology in the 1920ies. In 2001–2004 she was the coordinator of the research project Churches and European Integration, financed by the European Union. In 20010-2013 she was leading the research project “The Ecumenical Movement and the Cold War Politics”, financed by the Academy of Finland. In the evaluation of the research at the University of Helsinki in 2011 she was the leader of the research community Contemporary European Church History that was one of the awarded research communities of the evaluation. Aila Lauha has been awarded the following decorations: The Order of the White Rose in Finland, Knight 1st Class 2002; Silver Medal, University of Helsinki 2011; Medal for 30 years’ service granted by The Federation of Finnish Learned Societies (Tiedeyhteisön palvelusvuosiansiomerkki) 2013, Commander of the Order of the Lion of Finland 2015. Meriläinen, J., Lauha, A., Peiponen, M., Laine, A. & Welker, Á.